I know that a picture of me working on a laptop may not seem like a big deal. What would you say, however, if that time behind the screen is being utilized to help see 1 million people come to Christ! 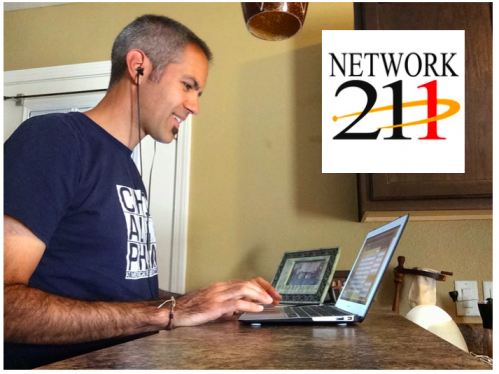 Just last month, Network211, the Internet ministry with which we’ve partnered since August of last year, reached its one millionth evangelism response. That means that 1,000,000 people have viewed an online gospel presentation via sites like JourneyAnswers.com (RespuestasdelaVida.com in Spanish) and have responded to it with either a question, a prayer request, a salvation decision, or a rededication. You can read the article on PE News. Closer to home, our team has had the privilege of interacting with over 1,000 evangelism responses since our partnership began. Those are people, throughout Spanish-speaking Latin America, but principally in Mexico, who have been touched by the message that they’ve experienced online. Still, this is just the tip of the iceberg. While Network211 has set a goal of making 100 million unique gospel presentations, we have set our sights on physically connecting into faith communities those who are responding in the virtual space. We’re confident that, as we’re able to train more partners to promote these evangelism presentations, we’ll see increasing response in our region. This will enable us to either direct seekers to existing churches or start new works where none currently exist, helping to turn decisions into disciples. This is just one more way that we’re working to see our vision of the Yucatan full of churches, diverse in class, status, education, and language but united in their love for the Lord and one another become a reality!